Which single principle helps us make fast Spiritual progress? Vairagya (Detachment). When we practice Vairagya, we come out of the shell of individuality, lose possessiveness and become free. 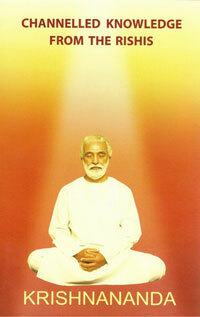 Vairagya creates a space within us for God. When God enters, we will have His attributes - Love, Wisdom and Strength. These help us in making faster Spiritual progress. These are relations at the level of the Soul, not at the level of mind or thought. Spiritual relations are not based on emotions. They are based on Divine Love. Religion is the distorted version of Spirituality which is a set of Universal values and guidelines to daily living. Spirituality is keeping a smile always, manifesting Love always, celebrating this life and experiencing Divinity in everything. It is also being good and honest. Do Spiritual experiences measure our Spiritual progress? No. It is the degree of Humility, Expandedness, Love and Divinity that indicate our Spiritual progress. Will the Spiritual progress made in one lifetime, carry over the next life? Yes. Not only the progress and good things gathered in one life, but even the other things like weaknesses, karmas, habits are carried over. The next life is like waking up after a long sleep. I meditate daily for 2 hours. But I don't find any progress. Why? You cannot assess your own progress. Leave it to your Guide. Sitting mechanically for Meditations will be of no use. Add Love to it and see. Love God, Love people, Love the life around and then see the difference.